Every day we purchase many things which come in either bottles or containers. Many of us throw away these containers or bottles after using them only once. We see these used bottles and containers as a waste. But if you think practically they are not. 1) Use plastic bottles for storing extra paint. This extra paint can be used for wall touch-ups. So you will not need to buy new paint cans for doing small touch-ups. 2) If you have any medium- or small-sized containers, then you can use it as a pencil or pen stand. 3) Glass bottles can be used as vases. Glass bottles with attractive shapes can become good flower vases as well. 4) Use as a funnel to bore a hole in the lid of a plastic bottle. And then stick any hollow but tough plastic straw into the hole. Cut the bottom of plastic bottle, and your funnel is ready to use. 5) Watering plants – first cut the bottom off of a plastic bottle and then keep them upside down near your plant. If you keep the lid of the bottle loosely screwed on and add water, your plant will be watered slowly. 6) You can store pins, nails, and screws in any small container. 7) Use glass bottles as a makeshift candlestick. 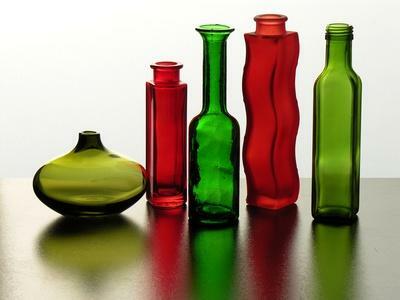 8 ) Glass bottles with different shapes and colors looks good as home decorations. 9) You can use bumpy base of a plastic soda bottle to juice a citrus fruit. 10) Workout – fill plastic bottles or containers with water or soil. It will make them very heavy. That much weight can be used as free weights. 11) Colorful lights – if you put small bulbs in different colored bottles, and group them decoratively you can create a festive mood. 12) Make ice – if you want ice just to make water cool, then keep bottles filled with water in a refrigerator to make ice. 13) Store cookies or other small baked goods in metal or plastic containers. 14) Sewing material organization – storing buttons, threads, needles in small containers is great idea. If you keep those things in a container, these small items will not get lost and neither will your hard-earned money. 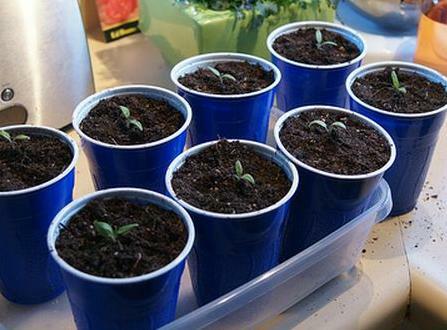 15) Grow plants – plants can grow in plastic bottles or containers. 16) Small containers can be used to store clips, hair bands, etc. 18) Party showpiece – tie a different colored ribbon around neck of glass bottle and your party showpiece is ready. 19) You can create sand art using transparent glass and plastic bottles. 20) If you juice your own citrus fruits, use a plastic bottle to store the juice in the fridge. 21) You can use a plastic jar to store hand soap. 22) You can preserve pickles into glass containers. 23) When you buy fruits that come in plastic containers, save the containers. They can be reused when you harvest and store your own fruits or vegetables. 24) You can store dried fruits in glass or plastic containers. 25) You can use plastic bottles in many way to make school projects for your child. 26) Sprayer – remove the lid and fit with a sprayer lid..
27) You can use any container to store your medicines or cosmetics. 28) Oil that isn’t properly stored can freeze in cold temperatures. If you reuse plastic containers with wide mouths to store oil you can always remove at least some of the oil, even if it freezes. 29) You can store excess food or leftovers in plastic containers. 30) You can use glass jars to store spices. You can use big or small container like jam bottle according to your needs. 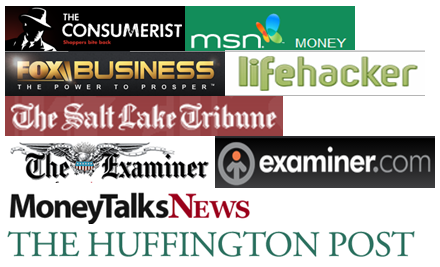 Readers, what other use you practice or can think of? « How Do You Define Your Worth? Wow, had no idea there were so many uses for those bottles! And to think I had been recycling them! DOn’t worry even recycling them is helping the nature. I would definitely stay away from #10. In order to work out properly so as to not put any undue stress on your body, the weight needs to be evenly distributed. Plus, the handles on bottles are not very conducive for this particular purpose and can cause undue strain on the body or the bottle itself. You must be an artist apart from being a tax consultant to give this lively advice. As long as you stretch your muscles a bit, it should matter much, though I am not an expert, thanks for pointing out to this aspect. I don’t have a single creative bone in my body! I just happen to pick up things here and there from all of those shows where they do remodeling using only the things that are currently in the house. Or when they have a strict budget and have to buy cheap things and combine plus repurpose them into something new and useful. They use old glass objects all the time in those projects. These are all awesome ways to save the planet! Rather than throwing away containers like this, either recycling them or reusing them is the best thing to do. In my house, my mother would never buy tupperwear to store leftovers from meals; rather she would take old containers from things like parmesan cheese, yogurt, or cool whip, and store food in our refrigerator in these instead of wasting money on buying plastic containers. Of course, you had to know that not everything in our refrigerator is what is looks like on the outside, but that was half of the fun of finding something to eat! Good story, thanks for sharing Kelly. Wish a lot more household adapt to this lifestyle. I stopped buying bottled water years ago and use a refillable bottle. I use storage containers for food and even take it for lunch. Very recently I attended a corporate training program where they gave free metallic water bottles. Until that I had used old soda bottles or use and throw paper cups. My mom raised us ti reuse everything we could. She had a saying,”Use it up, wear it out, make it do or do without”. I still try to live by that and not put too many items in the land fills. Just this weekend I used 3 jelly jars that have tight fitting metal tops to store broth. I baked some pork back ribs and saved the broth from them to use in other cooking. Also baked some beef boneless ribs and saved the broth from those. Pork broth in 1 and beef broth in 2 jars. Then I saved the potato broth from boiling potatoes in still another jelly jar. Now I have wonderful bases from soups or other dishes later in the week. If I don’t use them all within a few days I have the option of freezing them. Please keep reminding us of all the things we can accomplish if we really try to save money and reuse all the things we can. Sometimes we forget and / or get careless adn toss things away. Now I am feeling hungry reading your comment 🙂 Thanks! You are so brilliant. These are amazing ideas. I have turned my old wine bottles into a plant watering system that I can use when we go out of town on weekends. It works great. I would have written a post about that. you seem to find various novel uses yourself. don’t grow their business. You might just see your credit score take a dramatic jump, seemingly by itself.